Let A Lasting Impression put their experience to work for you. Excellence in Entertaining Services for Lincoln and Omaha, NE! Call today for the difference A Lasting Impression can make! 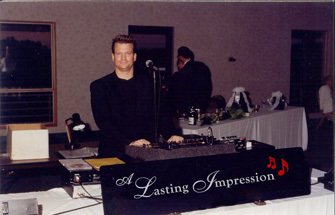 With over 20 years of experience in the DJ industry and hundreds of successful events, Randy Drewel with A Lasting Impression DJ is the right fit for any wedding reception or party! 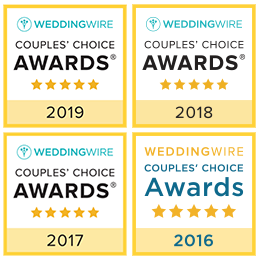 The difference is “Randy Drewel.” He has done five other weddings for our family and has done an exceptional job each and every time. 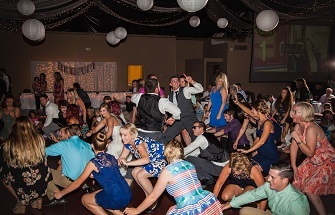 He can really keep the dance floor packed all night long! 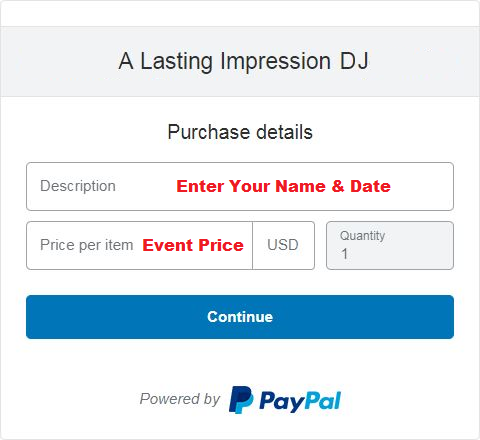 Click the “Pay Now” button to be taken to the online Paypal payment portal, where you will see a form like the one below. In the “Description” field, please enter your name & date and the amount you wish to pay on your contract.